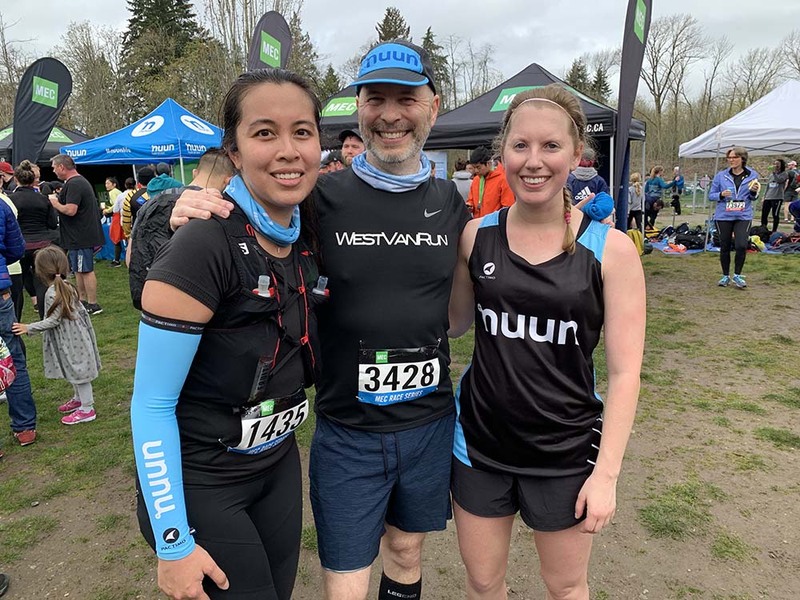 I received a complimentary entry to the MEC Trail Race One as a Nuun Ambassador. All opinions on the race are my own. 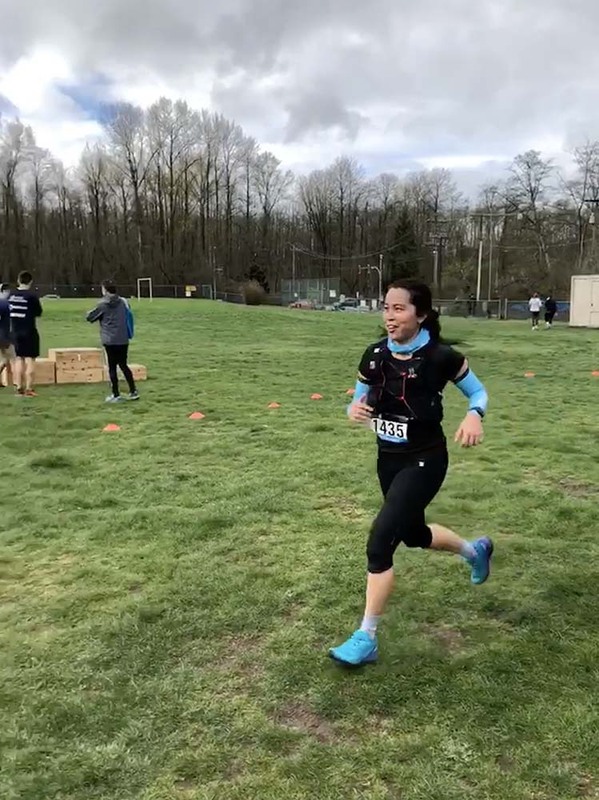 I had a bit of anxiety heading into this race because of my recent injury. Thankfully, my physiotherapist gave me the green light to run/walk the race. I had the feeling she wasn’t too happy with me wanting to do it though lol. Either way, I kept up with my exercises, cross training and rolling until race day. I was going to run the first of the MEC Trail Race Series no matter what. Mandatory pre-race selfie with Bradley. Cuski had a great race finishing at 52:04, 17th in AG. 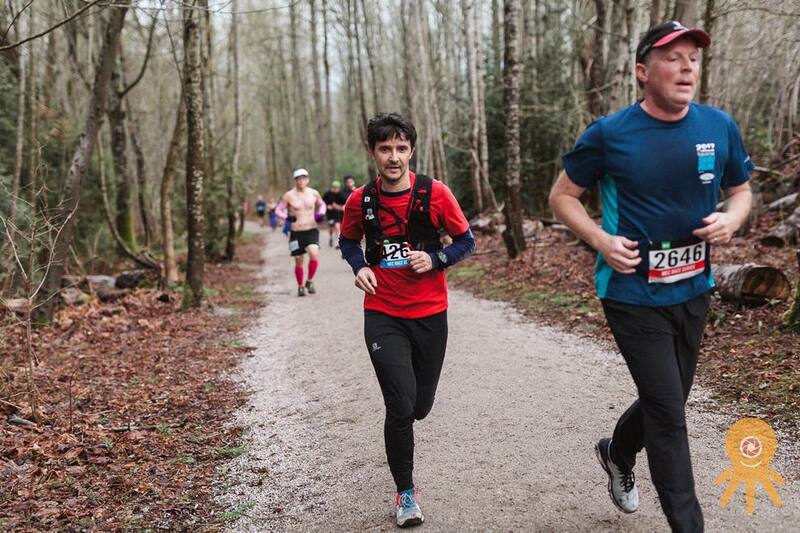 The first MEC Trail Race of the year explores the north half of Pacific Spirit Regional Park. There were two distances available: a 5K and a 9K. It starts from University Hill Elementary School and has a nice downhill on Salish Trail to enter the park. Both races follow the first loop (West Canyon/East Canyon trails) until a junction where the 5k runners turn left on Admiralty to head back. Meanwhile, the rest turn right for a second loop on Pioneer and Spanish Trail. In total there are three major climbs, including the long incline back to the school on Salish. Yes, the one you bombed down on at the start. The trails are non-technical but the recent rainfall made some sections quite slick. Some caution was definitely needed. I signed up for the 9k and promised myself that I’d take it easy. Power hiking all the uphills was a certainty and even some of the slighter inclines. I felt very fresh for the most part. The downhill came and went so quickly. Clearly, I was a little over-zealous. That quickly ended though, and my pace evened out a little bit. The glute activation exercises I did before the race seemed to have helped. I didn’t have any pain whatsoever. However, I sure was struggling due to the lack of trail running the past few weeks. That being said, I didn’t feel totally crappy. I ended with a time of 1:07:09, which was a lot better than I had anticipated. I also got PR’s on 4 different segments according to Strava. 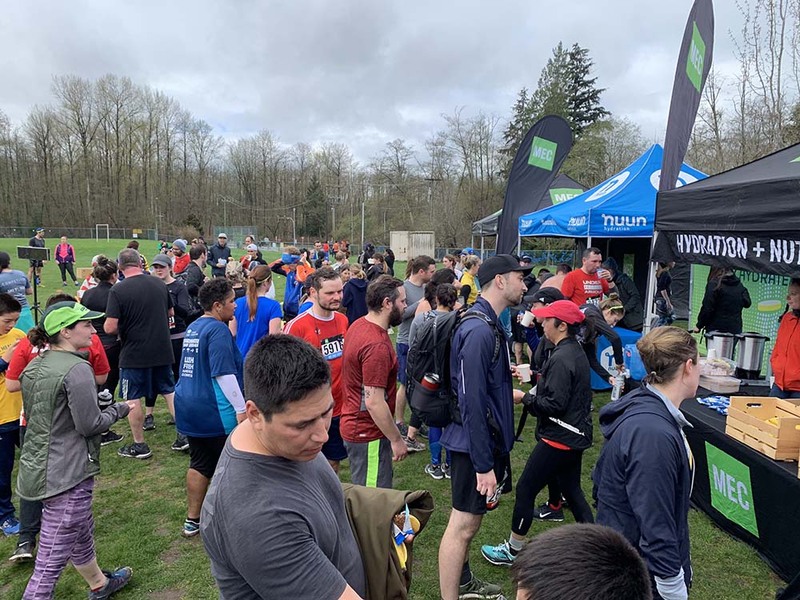 It was great to see Fraser Street Run Club at two aid stations. 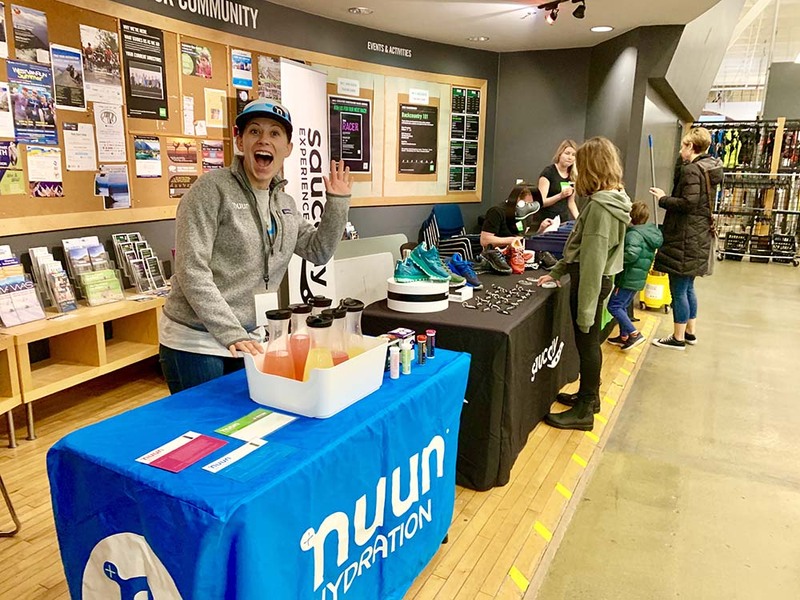 The high fives and cheers were appreciated… as well as the Nuun Hydration they were handing out! Nuun is a sponsor of the MEC trail series races so you can be sure that all participants will be well-hydrated. 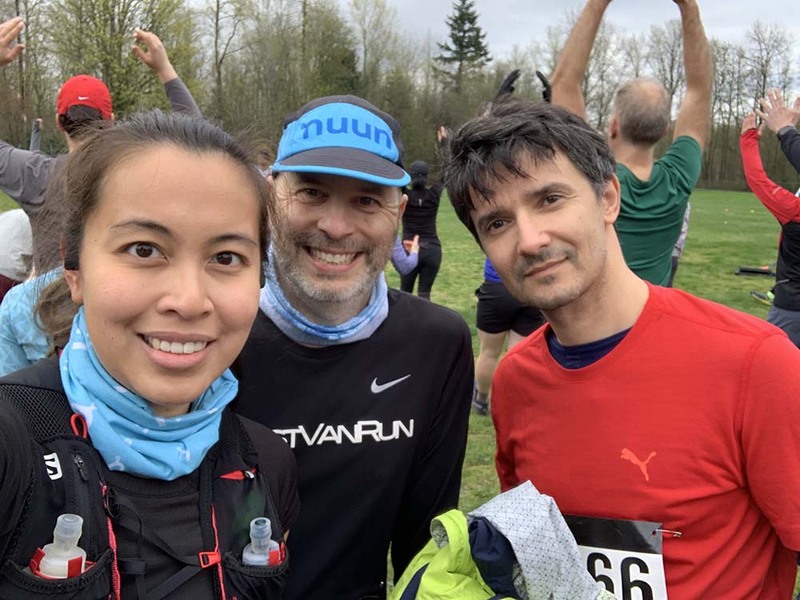 I was happy to be able to hang out with fellow Team Nuun members @andiemuzzin and Bradley on the Run. 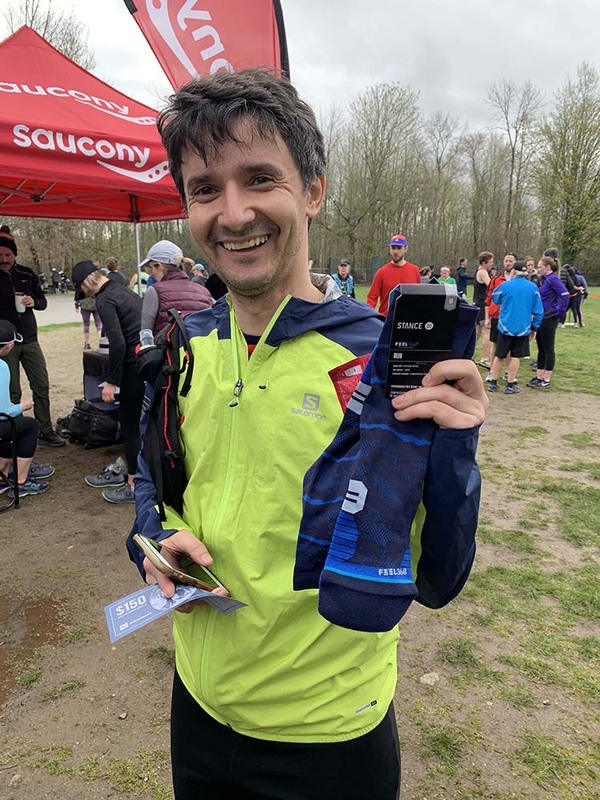 It’s Bradley’s 2nd trail race of the season and his conversion to trail runner is going very well. Vendors were on-site handing out samples and gave away prizes. Some of us got luckier than others but we all came out with something. MEC put together a great team and executed the event flawlessly. 10% off at MEC for runners? Yes, please! 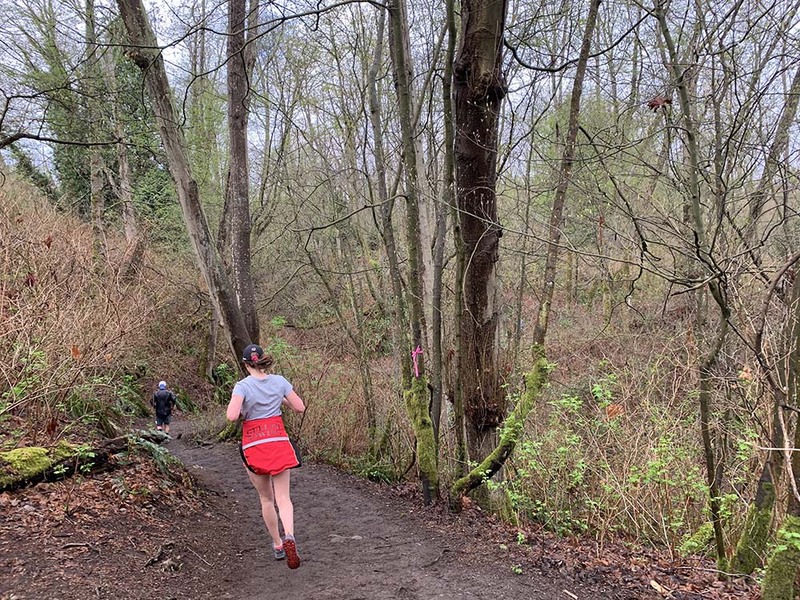 In my opinion, the MEC races are the best bang for your buck races in Metro Vancouver. The entry fees are very affordable, usually around $20 if you buy online. Their ultra distance is only $45, which for me would be at least $4.50 per hour spent on the trails lol. If you sign up early enough, you can take advantage of the bulk price of the entire series. 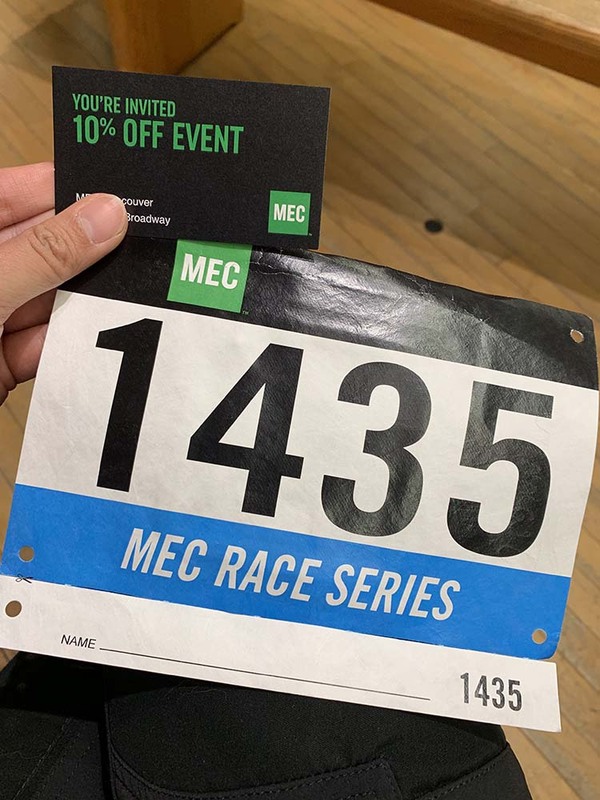 You can pick up your bib at MEC and get an in-store discount for the day, in case you need to stock up on gear. Race Day Package Pickup was also available. Parking is a bit of a pain since the elementary school lot isn’t that big. Get there really early if you want a prime spot or just park along Chancellor Blvd. and do a little warmup walk to the start line. We parked about a kilometre or mile away and managed to get there in time for warmup. In hindsight, we should’ve left earlier. At least parking was free! Gotta check out all the booths. The courses are well-marked. The volunteers and sponsors are all lovely and energetic. IPolpo was there providing race photography and managed to get a great shot of Cuski (thank you!). No medals or shirts were handed out but they do have some post-race food. You must check out the Stance Socks booth for a chance to win a pair of awesome socks. The last MEC race I did, I won a pair. On this day, Cuski won a pair (super lucky) and I won a 25% discount code. Bradley won a 40% discount code (lucky). We’d definitely do another MEC race. There are 4 more trail races this year and also 3 more road races. Maybe we’ll cross paths at the next one? Have you done a MEC event before? Tell me what you thought in the comments below.